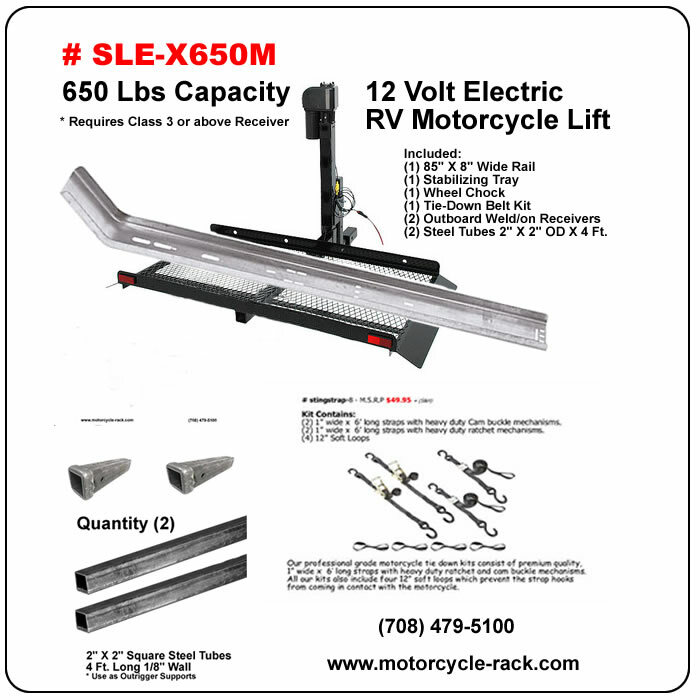 Electric lift for Motorcycles up to * 650 lbs. This motorcycle Lift let's you load safely at ground level. 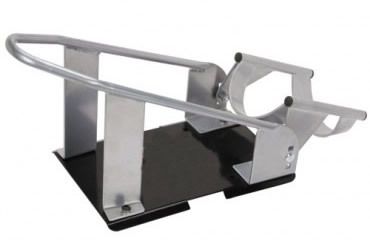 It will work with Hitch Receivers to a height of 20", which is great for SUVs and RVs. Once you have secured the motorcycle to the carrier, push the switch and your motorcycle raises to cruising height. The carrier plugs into your Class 3 receiver or stronger and requires a 2" X 2” square receiver. (S&H) *included to most zip codes in lower 48 states. 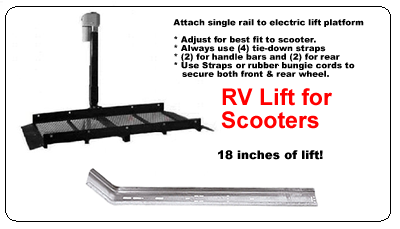 This electric lift has a Heavy-Duty Motor for Motorcycles up to 650 lbs. *This lift will work with Hitch Receiver heights to 20"
* Capacity is 300 lbs for single receiver, (3) receivers up to 650 lbs.. The most Versatile lift on the market today! Miscellaneous nuts and bolts, not included, may be needed in some applications. Allowing one person to load or unload at ground level, this Lift is the ultimate in convenience. ... lift load and go. Bike track with approach ramp 8" X 85"
See "More Carriers and Lifts"